5 + 8 = Required Please enter the correct value. Dow futures showed signs of recovery after moving into correction territory in late trading yesterday. This was largely in response to congressional efforts to avoid a government shutdown. Congress' slow progress on passing a new funding bill led to a government shutdown at midnight on Thursday. However, both Chambers of Congress passed a new bill in the early morning hours to keep the government open for another two years. Market volatility is scary… and we’ve got the perfect solution. Click here and sign up for our Stock Market Crash Insurance alerts to receive free, real-time updates on how best to protect your money. The Dow is on track to experience its largest weekly decline since October 2008. Markets remain very volatile due to the uptick in expectations that the U.S. Federal Reserve will need to hike interest rates aggressively in order to tame an overheating U.S. economy. The Dow is now officially in correction territory following the sharp downturn this week. It could be a very tough day for U.S. shipping companies. Shares of FedEx Corp. (NYSE: FDX) and United Parcel Service (NYSE: UPS) fell Friday. The downturn came after Amazon.com Inc. (Nasdaq: AMZN) announced it will launch its own delivery subsidiary for businesses. "Shipping with Amazon" will launch this week in Los Angeles and is projected to give AMZN a significant market share of the global logistics business. Gold prices are on pace for their second straight weekly loss. The price of gold fell to $1,317 per ounce due to a stronger U.S. dollar. The greenback has risen over the last two weeks, as markets anticipate an interest rate hike by the Fed in the near future. Yesterday, the Bank of England also announced plans to increase interest rates at a faster pace than economists had anticipated. 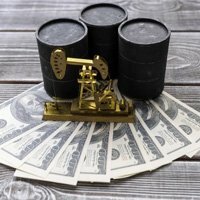 Crude oil prices slumped in pre-market hours due to rising U.S. production and concerns about an increasing glut of crude across North America. Oil prices are now on pace to experience an 8% drop in prices this week over increasing concerns that the growing glut could expand across the globe after OPEC announced plans to increase global production by 700,000 barrels per day over the next four years. WTI crude oil price today dipped 1.4%, while Brent crude slipped 0.9%. Shares of NVIDIA Corp. (Nasdaq: NVDA) rallied more than 7.5% after the technology giant topped Wall Street earnings expectations. NVDA stock popped after the firm reported earnings per share (EPS) of $1.78 on top of $2.911 billion in revenue. Analysts expected far less, just $1.16 per share on $2.67 billion in revenue. Shares of Expedia Inc. (Nasdaq: EXPE) crashed in after-hours trading. The online travel company saw shares plunge more than 19% after it reported a dismal earnings report for the fourth quarter. The firm reported EPS of $0.84 on top of $2.32 billion in revenue. Wall Street expected EPS of $1.16 on $2.36 billion. Qualcomm Inc. (Nasdaq: QCOM) has rejected the largest takeover bid in the history of the U.S. markets. The tech giant turned down a $121 billion takeover offer from Broadcom Ltd. (Nasdaq: AVGO) due to valuation concerns. Though Broadcom said that the bid was its "best and final" offer, QCOM hopes to secure a meeting to iron out differences and secure a higher bid for its shareholders. 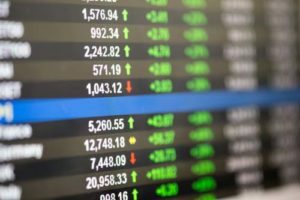 Companies reporting earnings on Friday include CBOE Global Markets Inc. (Nasdaq: CBOE), Moody's Corp. (NYSE: MCO), Tenneco Inc. (NYSE: TEN), Malibu Boats Inc. (Nasdaq: MBUU), Buckeye Partners Ltd. (NYSE: BPL), and ImmunoGen Inc. (Nasdaq: IMGN). Wholesale Trade Report at 10 a.m. This extraordinary money-doubling strategy has the power to profoundly impact your financial future. You don’t need any special training… any insider knowledge of the markets… or any exceptional skills. In fact, all you need is a computer or smartphone and just 10 minutes of “work” to potentially put $1 million in your bank account faster and easier than you ever dreamed.